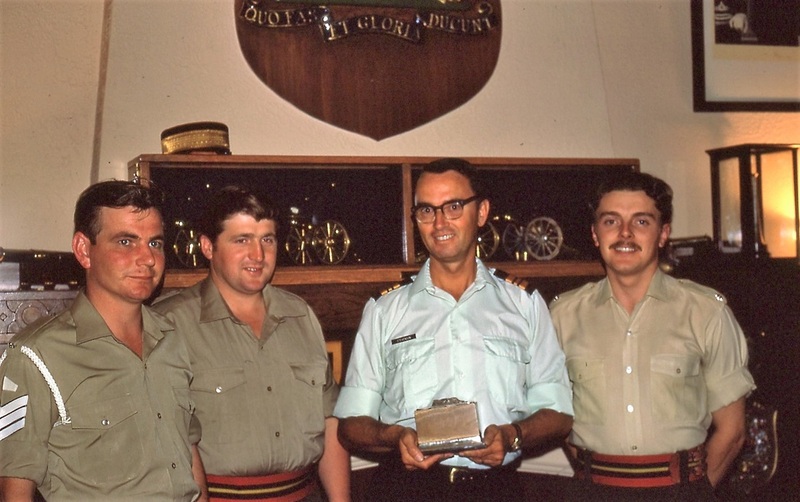 The visit by the Commanding Officer, Second in Command and Regimental Sergeant Major was reciprocated by 21st (Gibraltar 1779-83) Missile Battery, RA as they sent over a three person team consisting of Second Lieutenant R Sampson, Sergeant Brian Penk and Sergeant Dave Burton. 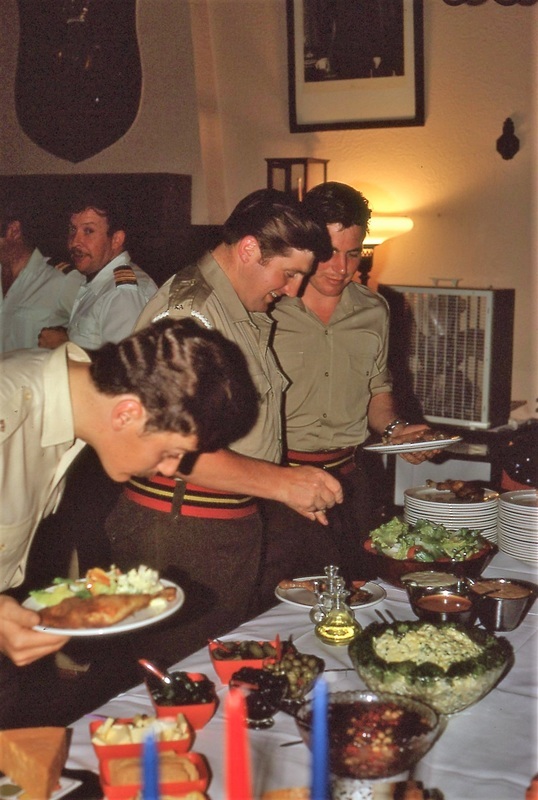 The visit included social activities in the Messes where the Officers' Mess hosted a buffet luncheon. 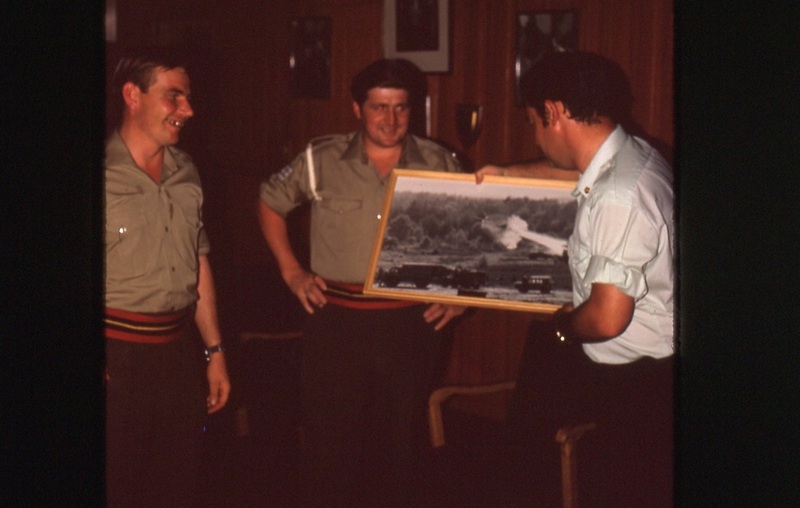 In the Warrant Officers' and Sergeants' Mess, the two young Sergeants were introduced to the fine art of "Gonging" by the RSM, Chief Warrant Officer Brian Cormier assisted by Sergeant Brian Harmon and Sergeant Bill Amos. 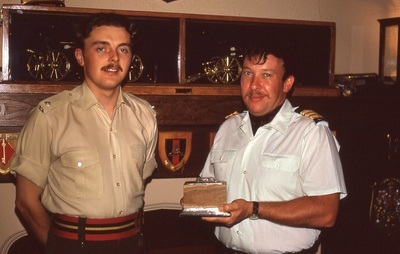 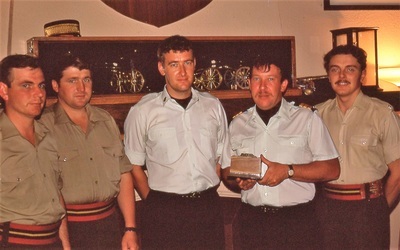 Warrant Officer Al Yelland accepted a photograph on behalf of the Mess of the 21st (Gibraltar 1779-83) Missile Battery, RA firing their Honest John missile. 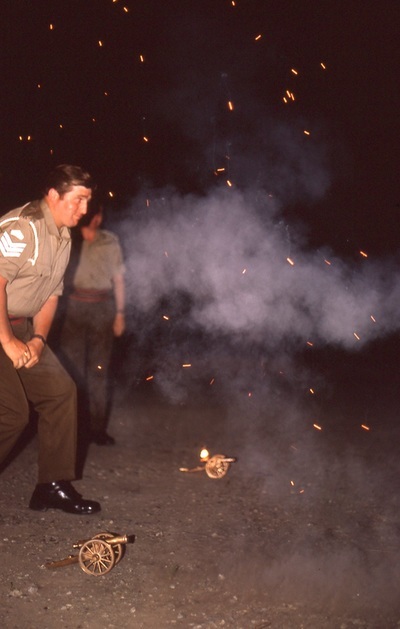 The days activities were concluded with a firing of the miniature cannons on the parade square. 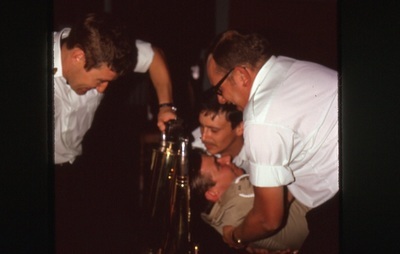 The visit was not all mess activities. Our British cousins also accompanied the unit on its annual MILCON live firing exercise in Shilo, Manitoba.